The MCVTC held its first scheduled court sessions April 2012 before Judge Fuca at 41B District Court and Judge Mark Switalski at Circuit Court. We currently have active participants on both the Circuit Court and District Court dockets and are continuing to review new referrals for admittance. For questions about the MCVTC, please contact Lisa Ellis at lisa.ellis@macombgov.org or (586) 469-6986. Defense Counsel - please fill out the MCVTC Application - Circuit Court and turn in to Specialty Court Services on the 6th floor, or fax to (586) 783-8179.  For questions, please contact Lori Menzie at (586) 469-6164 or lori.menzie@macombgov.org. Defense Counsel - please fill out the MCVTC Application - 41B and turn in to Kara Jacquemain in the Probation Department on the 1st floor. For questions, please contact Kara at (586) 569-7833 or K.Jacquemain@41bcourt-mi.us. *NOTE* It is very important that paperwork be submitted to the proper area as described above. Paperwork given directly to the assistant prosecutor is not considered submitted and will not be fully processed.